Another solid indicator has popped up that Google’s forthcoming phones will bear Pixel branding. 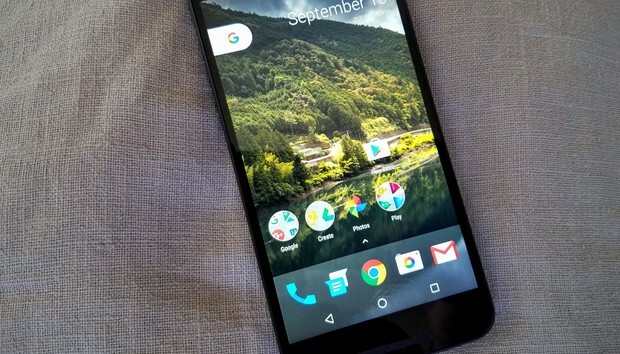 A leaked APK of what’s dubbed the Pixel Launcher has appeared, taking the place of a previously leaked add-on called the Nexus Launcher. The new Pixel Launcher reworks the home screen’s performance in a few noticeable ways: It replaces the omnipresent Google search bar with a pull-out tab that takes you into Google Now. There’s also a date widget that, for now at least, you can’t replace. The Pixel Launcher gives a more distinguished look with some new design tweaks. There are a few other aesthetic changes, like a slide-up entry into the app drawer, which gives you room for five apps and replaces the All apps button. Additionally, you’ll find a new design for folders, with the cascade of one behind another replaced with a snapshot of up to four different icons. The APK is obviously prerelease software, so it’s bound to have bugs and other hiccups. You can download it here at your own risk. Why this matters: By all accounts Google is going to make a more aggressive stand with this year’s hardware launch. The new phones, rumored to be the Pixel and Pixel XL, should include exclusive software tricks to distinguish them from the rest of the Android ecosystem. The marketing may emphasize that these are the perfect synthesis of top hardware and Google’s operating system and services.